Success in business requires focus, and the ThinkPad T440s offers the precision tools and power to help you maintain it. With its full-size keyboard, renowned array of keys (including convenient shortcut buttons), excellent feel, and popular TrackPoint® pointing device, you'll have all you need to meet the the tightest of deadlines. The 's' could stand for just about anything, but we'll give you a few options to choose from: slim, svelte, savvy. 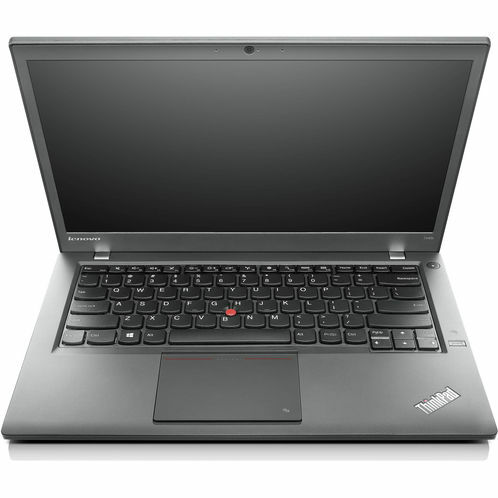 The T440s was built with mobility in mind, but with the strict goal of offering you the same, or in some cases, better power than bulkier machines. What's more, with exclusive Power Bridge technology, you get two batteries, meaning more juice from the on-set, as well as the capability to swap batteries on the fly - without shutting down. We all want options. The T440s provides them. Customize your display with better visuals, better viewing angles, or touch input - or a combination of the three. But rest assured, every T440s comes with an array of ports for easy connectivity between devices, and essential extras such as the integrated HD webcam for crystal-clear conferencing.